Favorite Track My favorite track is Nelson Ledges. It was the fastest FV track in the east for the longest time. The grounds and restrooms were a challenge and the track bumpy and broken but it was an absolute hoot to drive. It took forever to figure out that there was no “line” through the carousel, just drive down the middle of the road until you hit the pavement change bump and then dive for the apex…and pray all the way you didn’t find yourself upside down in the swamp in a wet year. I hope to get back there someday to try out the new pavement. Favorite Driver Favorite driver was Dale Earnhardt Never gave up. Never gave an inch. Always pushed as hard as he could. Darrel Waltrip’s Time Magazine Eulogy was titled “The Empty Space next to Mine” because they always parked their motor homes side by side in the infield. It was a tribute to their ability to be close friends off of the race track. Why FV Class? I started in FV based upon the excellent advice I got from the Glen Region’s Chuck Dobbs when I was planning on buying my first race car. 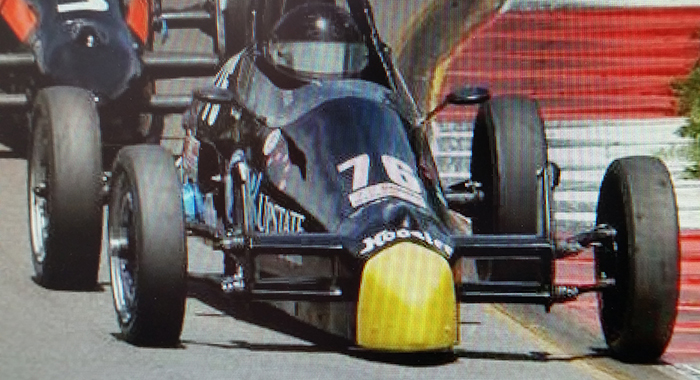 Chuck said that they were popular, great competition at the regional level and a path to Nationals with stable rules and an exceptional family of drivers who would freely share parts, labor and advice whenever you were in need. Nothing has changed.